Itemis-glen-3727 - "The taste test." Itemis-glen-cartoon-m-8000-136 - "I think it's time to go back to cigarettes." Itemis-glen-3728 - " ... And don't come back until the Canada Cup is over." Itemis-glen-cartoon-m-8000-137 - "I ask you, Mr. Vance, would the McDonald arch clash with our classic Chinese architecture?" 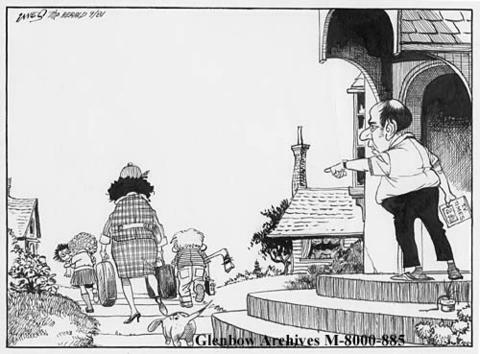 Itemis-glen-cartoon-m-8000-138 - "What we've got in here, sir, would make an early election a snap." Itemis-glen-3730 - "Rumor has it he's staging a comeback!" Item is-glen-3728 - " ... And don't come back until the Canada Cup is over."